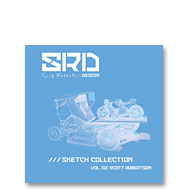 Scott Robertson returns with his much anticipated second collection of sketches, clocking in at a whopping 288 drawings that are sure to amaze and inspire. 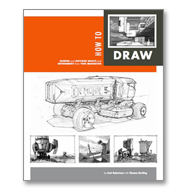 After a brief hiatus from publishing, the acclaimed designer and best-selling author of How to Draw and How to Render is back to remind the industry why he continues to be a force, with a wide, imaginative range of vehicles represented in the book. From futuristic hot rods and otherworldly rovers, to superhero-worthy sports cars and equally incredible headgear, Robertson’s latest sketches were created over the last three years, and are now ready to transport you beyond your own imagination. Best of all, more than 25 pages can be scanned via a smartphone or tablet using the new Design Studio Press app, which link to video tutorials for that section of the book! You have to see it to believe it! An unprecedented technology, connecting printed matter to online digital educational content. This book is about the fundamentals of light, shadow and reflectivity; the focus is firmly on helping to improve visual understanding of the world around and on techniques for representing that world. Rendering is the next step after drawing to communicate ideas more clearly. 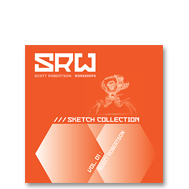 Building on what Scott Robertson and Thomas Bertling wrote about in How To Draw: Drawing and Sketching Objects and Environments from Your Imagination, this book shares everything the two experts know about how to render light, shadow and reflective surfaces. This book is divided into two major sections: the first explains the physics of light and shadow. One will learn how to construct proper shadows in perspective and how to apply the correct values to those surfaces. The second section focuses on the physics of reflectivity and how to render a wide range of materials utilizing this knowledge. Throughout the book, two icons appear that indicate either “observation” or “action.” This means the page or section is about observing reality or taking action by applying the knowledge and following the steps in creating your own work. 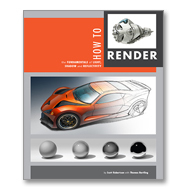 Similar to our previous book, How To Draw, this book contains links to free online rendering tutorials that can be accessed via the URL list or through the H2Re app.